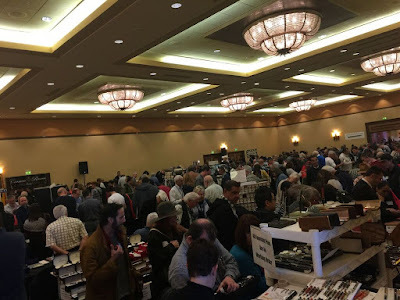 Vancouver Pen Club: Bart & June's 2017 Los Angeles Pen Show report! Bart & June's 2017 Los Angeles Pen Show report! 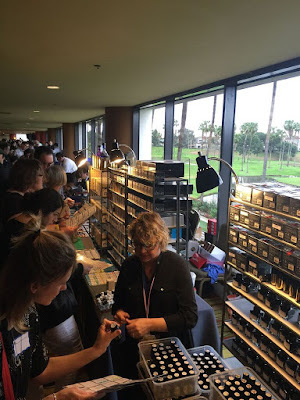 Two of our fellow Vancouver Pen Club members attended the 2017 Los Angeles Pen Show, held in Manhattan Beach, California this February and were kind enough to send me a report to post on our pen club blog. 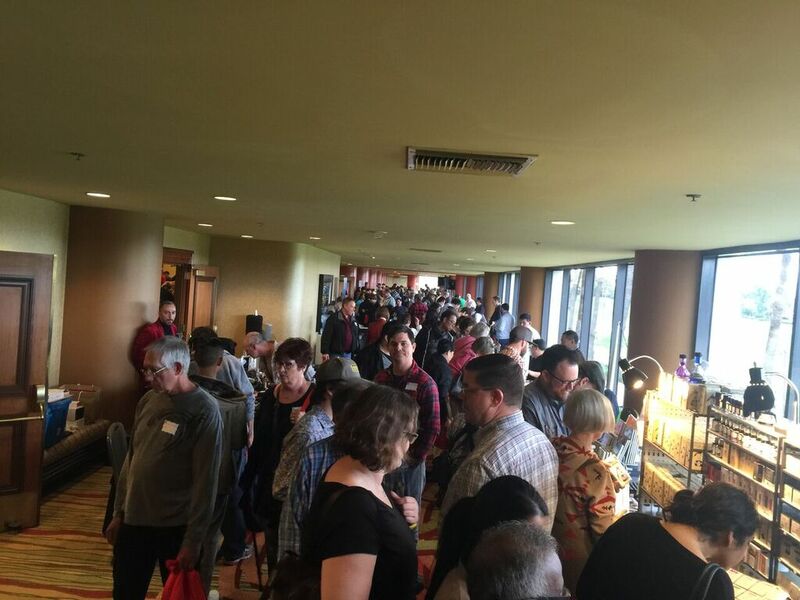 This is the line up to enter the Pen Show. Pen show opened @ 10am, and we were in line @ 8:30am, second in line! 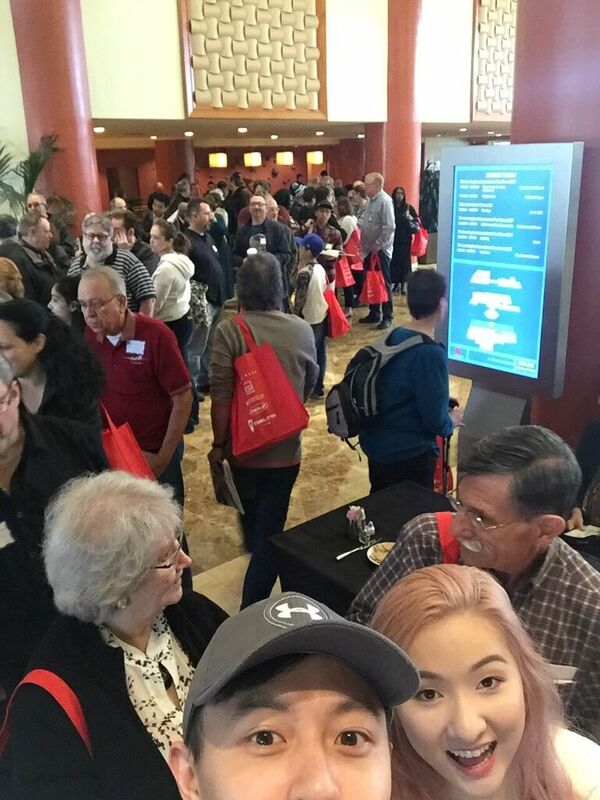 By the time it was 9:30am, the line was all the way across the lobby, almost swinging around outside. 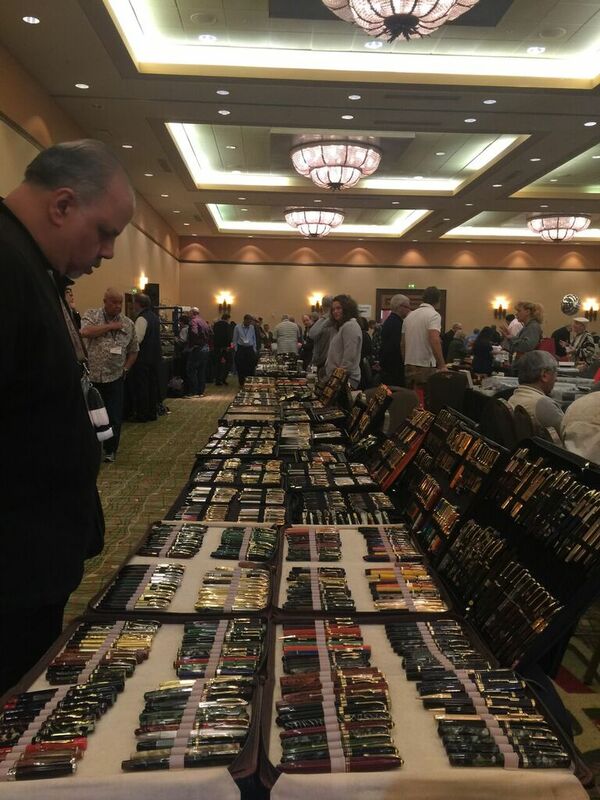 An early shot with a table with many many notable pens (There is a $40k solid gold Montblanc in the collection behind June). Shortly after this, it would be impossible to take this picture as it was so busy. A shot just of the table behind June. 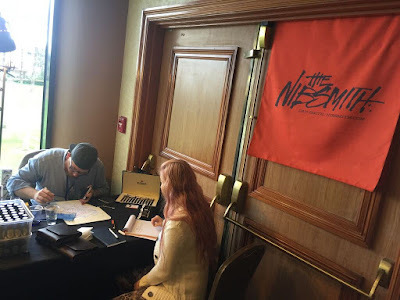 Dan the Nibsmith working on some of June's pens. He does beautiful grinds, we were very happy with his work. Another crowd shot of the side lobby. The LA Pen Show is incredibly popular! Just a picture showing how packed it gets. 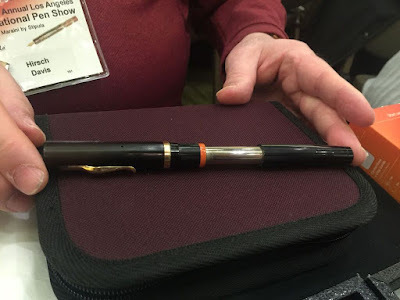 This is an interesting pen. 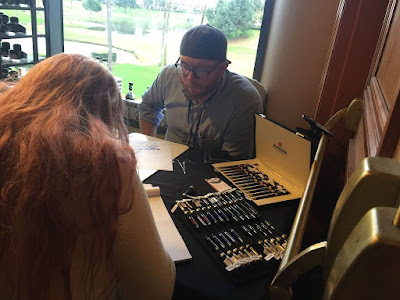 I cant remember the brand, but basically this pen splits into 2 sort of, if you want to change ink you just flip the pen around and you have a new nib! 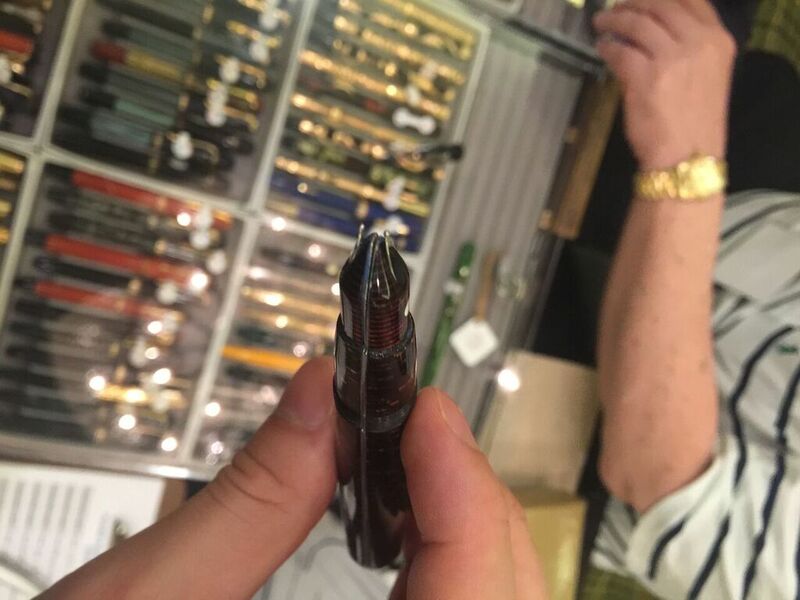 Just a picture of the above pen splitting into 2. Its more like sliding into 2, they don't actually come apart. Hirsch Davis with a Chilton pneumatic filler. The Chilton pneumatic filler is a prototype of a filling system that was later "stolen/perfected" by Sheaffer. Yot you seal the end of the barrel with your finger while you pull the barrel sleeve back. This will cause negative air pressure, and then you dip the pen into ink and release the seal with your finger, voila! 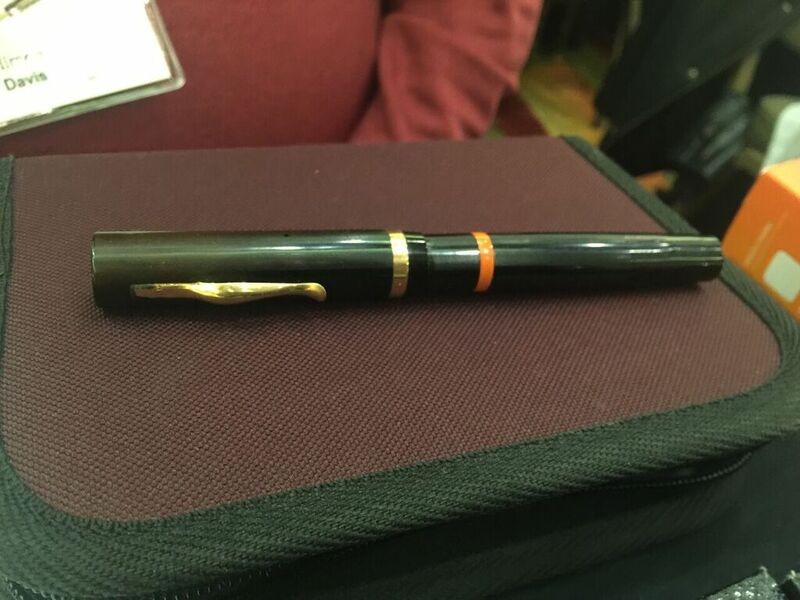 Filled pen. There are a couple of downsides to this design, the only one I can remember is that you cannot fill with one hand. This design, however, was later perfected by Sheaffer when they created their Touchdown filling system. 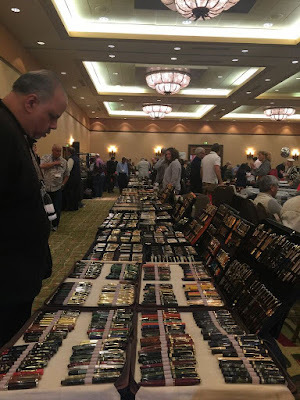 ~ ~ ~ ~ ~ ~ ~ ~ ~ ~ ~ ~ ~ ~ ~ ~ ~ ~ ~ ~ ~ ~ ~ ~ ~ ~ ~ ~ Many thanks to Bart & June for their wonderful pen show report! 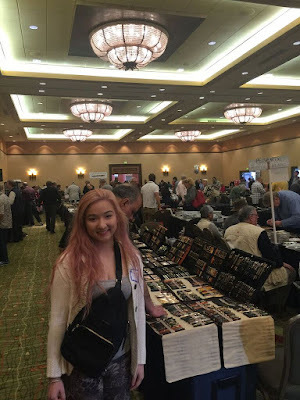 If any other VPC members have pen-or-ink related reviews or photos they wish to post on our blog, please contact me (Maja) and I can either post them for you, or add you as a blog "author". 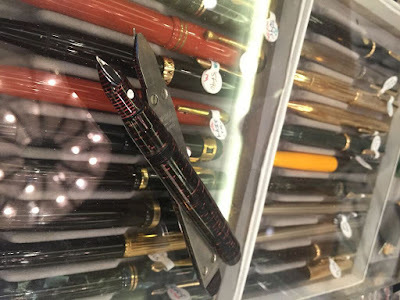 Hope to see you at our next meeting, to be held this Thursday---April 20--- at the Terry Salman library branch, by Queen Elizabeth Park, 6:00pm-8:45pm (meeting topic: Your Favourite Japanese Pens...secondary topic: Newest Acquisitions). Full meeting info here .